Our second week of dinners. These are dinners from 30 days straight in May. I’ve just now gotten around to putting the post together. 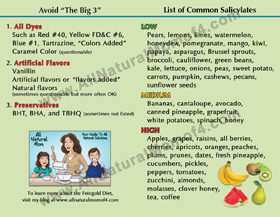 Please see the previous post (Week 1) for details on what diets we do, etc. Thanks! 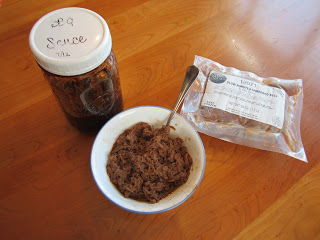 I order this and the BBQ sauce from www.grasslandbeef.com. You can get the beef with or without the BBQ sauce already added. I just thaw it and heat and serve. I get a big gallon of the BBQ sauce and then put some in a mason jar. 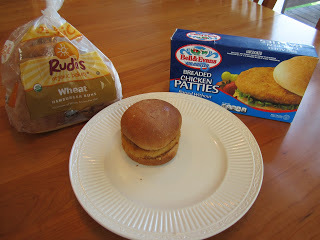 My older son eats his on a Rudi’s wheat bun. My GFCF’er just eats it in a bowl. I usually send in the leftovers for lunch in a thermos. 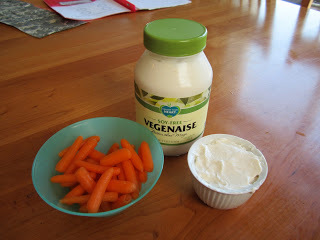 My daughter also had carrots and “dip.” She didn’t eat all that dip. 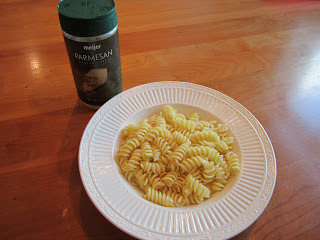 My older son says he is sick of the BBQ beef so he had plain noodles with parmesan cheese. He hates spaghetti sauce. Most noodles are acceptable. We usually do Barilla or 365 brand from Whole Foods. 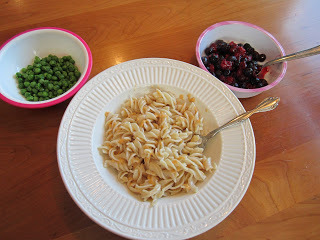 I made homemade GFCF mac-n-cheese for my youngest three. Also peas, and some thawed frozen berries for my two year old. 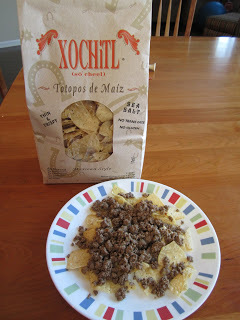 Tacos for my six year old. 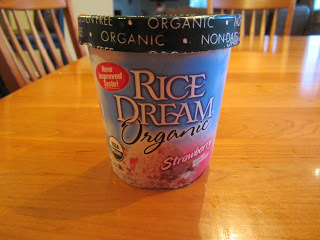 Dessert: Strawberry Rice Dream ice cream (dairy free.) Rice Dream products contain a small amount of gluten. My two-year old loves this ice cream. 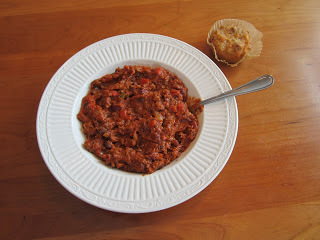 I make this recipe a lot because it is one that all 4 of my kids will eat! 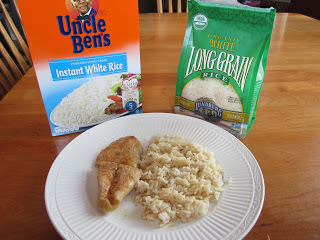 My oldest does not like organic rice for some reason so I make some Uncle Ben’s for him and organic for the rest of us. I know I should just make him eat it, but he won’t. He’s very picky. I like using organic rice because most regular rice contains arsenic. Lundberg Organic contains close to zero. It gets in the rice from run off from other fields from pesticides, animal feed, animal waste, etc. Rice from the U.S. is the worst. 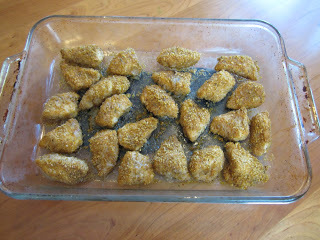 These are the chicken breasts we use. Pricey – about $9.99 a lb but really good and I won’t buy non-organic chicken. 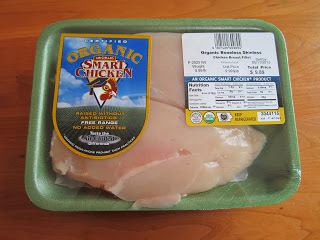 You can also order organic chicken online from www.blackwing.com. There’s is good too but they have a little more fat on them than Smart Chicken. I usually cut them to get four chicken breasts so they are not as thick. And watermelon for everyone. Watermelon is stage one. 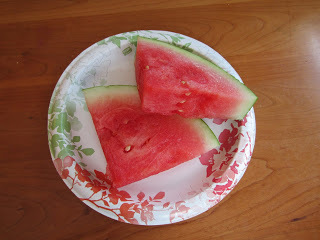 They say to eat melons away from all other foods. It doesn’t combine well with anything. 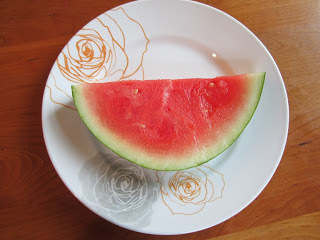 So, I usually wait at least an hour before or after dinner for watermelon or give as a snack. I think you’re supposed to wait two hours but oh well. 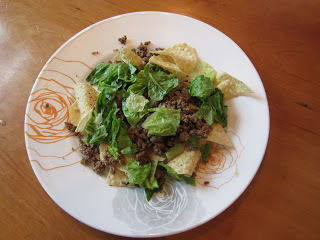 My boys had tacos (see recipe above). Cut up watermelon. 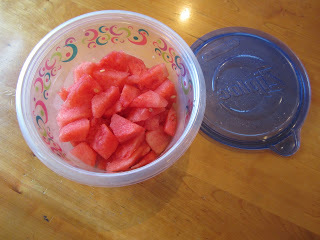 I like to keep cut up watermelon in the fridge because my kids can grab it themselves if they are hungry. 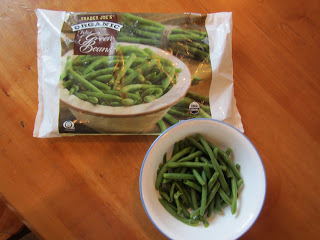 Organic green beans. I usually get a big bag from Costco but sometimes I get them from Trader Joe’s. 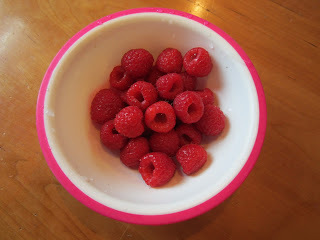 Raspberries for my 2-year old. Bacon. 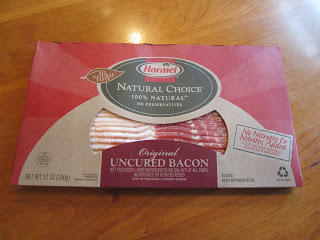 We do Hormel Natural or Applegate Farms Sunday bacon. 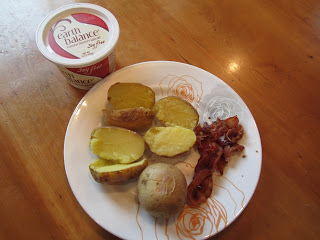 And finally, baked potatoes with butter and bacon. Sometimes they add Daiya cheese on top too. This is my favorite meal. 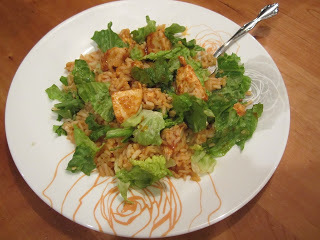 I keep the seasonings for the chicken fajitas in a jar for when I make this. 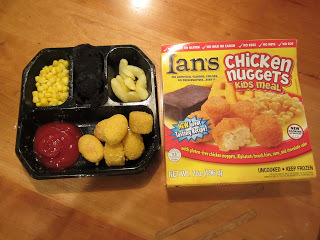 My youngest two split a microwavable Ian’s chicken nugget meal. Don’t forget to save the UPC’s on Ian’s products. You can mail them in and get a coupon for a free Ian’s product (up to $6.99) for every 15 UPC’s. The chicken nuggets on the microwavable one are a lot less crunchy than the regular chicken nuggets you cook in the oven. These taste better but I’m not big on using the microwave. 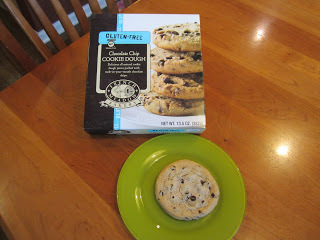 We do these for breakfast sometimes because it’s quick and my son is addicted to these. We also do them on Sunday’s sometimes because I like to take a break from cooking on Sunday! Made some GFCF banana muffins today. We use India Tree sprinkles. I finally got the ingenious idea to take one bottle that was almost empty and then add a little bit of every other color to it so we had one bottle that was multi-colored. Before, my kids would have to open each bottle to use every color. Now we just sprinkle from one bottle. Duh. Much less mess. 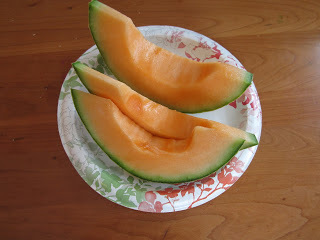 My daughter had some watermelon and cantaloupe. Both stage 1. My oldest two must’ve gotten fast food. Probably Chipotle. 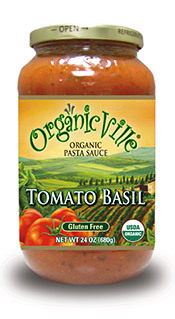 Today I used a jar of sauce (Organicville), but usually I make my own. I haven’t written up the recipe yet. It’s my mom’s recipe. 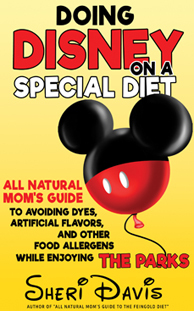 Spaghetti is another one that all of my kids will eat. 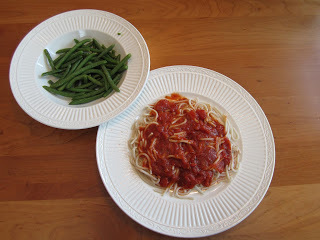 My oldest will usually have plain noodles. However, my oldest daughter doesn’t do well with tomatoes so we can’t do it too often. Spaghetti goes well in a thermos for lunch or outings. 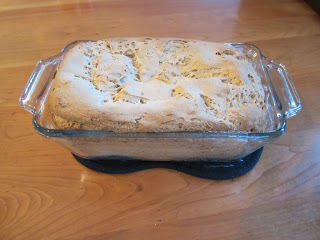 Made some GFCF bread using a mix from Breads from Anna. We don’t use this for sandwiches because I’m afraid it would get wasted. It’s really good with butter and garlic powder, or we use it for bruschetta bread sometimes too. 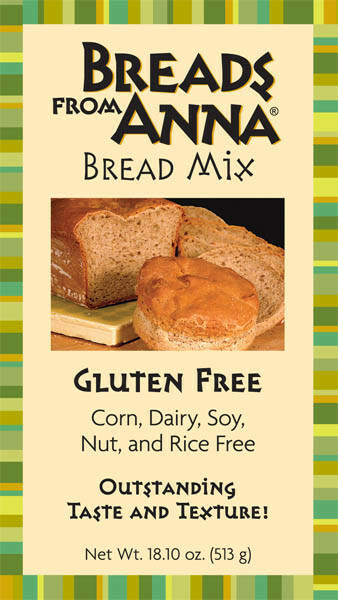 Pales in comparison to other store bought gluten free bread. But, it costs about $6 and you have to make it, so I only make it about once a month or so. It disappears within two days but sometimes some survives to freeze for later. 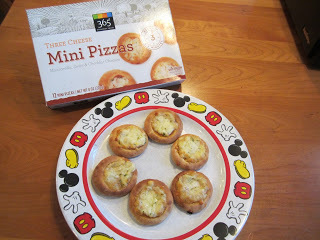 My oldest had 365 (Whole Foods) mini pizzas instead of noodles today. And then they had a banana muffin for dessert. See recipe above. And I made some GFCF chocolate chip cookies for my oldest and I. These are really good! 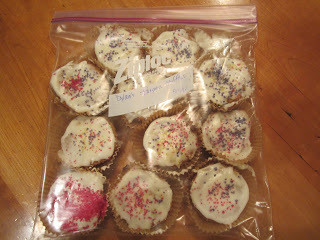 They do contain soy, eggs, and corn syrup though so these are mine! You just pop them in the oven. They are about 9 individual circles of dough. I freeze the leftovers. My youngest two had chicken nuggets. My older two won’t eat them. Don’t ask me why. These are good. I freeze the leftovers. 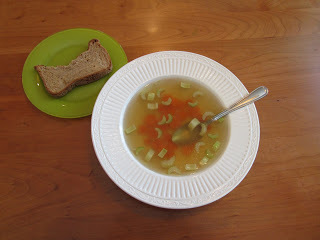 My daughter had chicken soup made from homemade chicken broth that I freeze, and a piece of Anna’s bread. 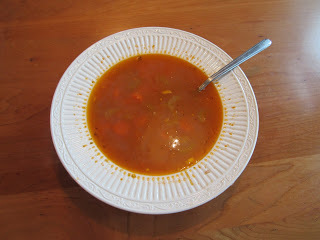 She dips it in her soup. My oldest had a Bell & Evans chicken patty on a Rudi’s bun. I can only find both of these at Whole Foods. 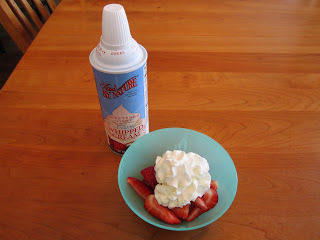 My oldest also had strawberries with whip cream. 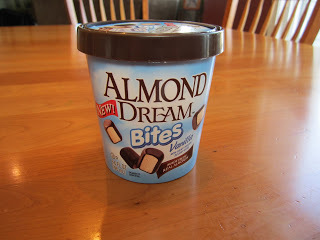 And Almond Bites for dessert. We don’t do these often. They contain soy. They also make a Rice Dream bites made from rice milk instead of almond milk. These are good. My kids only get a few at a time. And that concludes week 2 of dinners! Missed week 1? Click below. 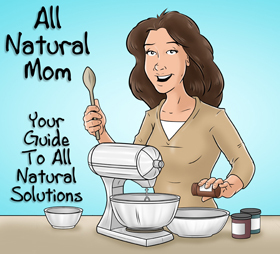 For all of our favorite recipes, visit my recipe blog at All Natural Recipes. 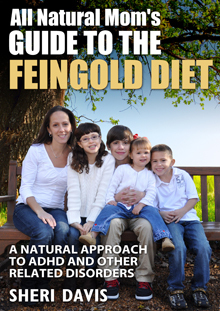 “All Natural Mom’s Guide to the Feingold Diet – A Natural Approach to ADHD” available now on Amazon!